Mussels have a sweet spot in my heart. From the first time I had them in Paris with my buddy Kross, I was not prepared for my lifelong love of these humble bivalve mollusks. The funny thing is that I had them by happenstance when I was in France. I was traveling there after my first year of law school and I was on a budget and, you guessed it, they were one of the less expensive things on the menu. I figured, I always loved seafood, especially things like clams, so I’d probably like Mussels. And like them I did!!! Admittedly, I was a bit gluttonous, sopping up every last drop of broth. In my mind, I thought about licking the bowl, but I was in law school. A future lawyer couldn’t do that in public…but, ooooh, I thought about it. Sweet, garlicky, rich and, frankly, just amazing…I opted for the more refined way and thus, I must of down a whole baguette in addition to a pound of mussels. 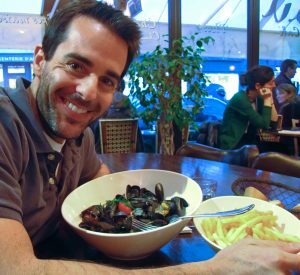 Back in France…sans pleated khaki pants and swoopy haircut…but with my Mussels and Pommes Frites!!! …until I figured out the secret that transformed them and transported me back to that little café, a humble law student, with his swoopy haircut and pleated khaki Duckhead pants. Hey, no judging…they were in style…and so was my haircut…kinda. But, I digress. 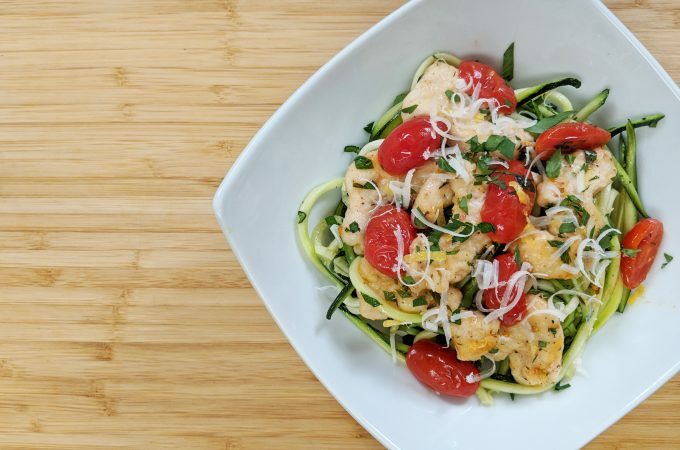 All that to say, with the addition of a little cream and ever-popular French favorite, Butter, I was able to recreate this Classic French Dish. So what do you have to keep in mind when making these beauts? 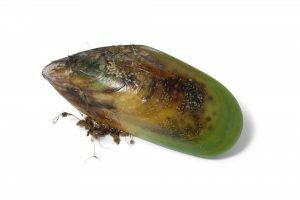 Green-lipped Mussels: otherwise known as New Zealand Green-lipped Mussels, these have a distinct green color on the outer ridge of the Mussel’s shell. 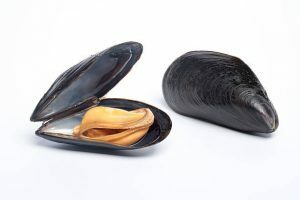 They tend to be larger in size than the Blue or Black Mussels. Generally speaking, I prefer the smaller Blue or Black mussels over the Green-lipped ones. I find them more tender. I also favor farm-raised mussels over the wild-caught. They are more consistent in flavor, in my opinion, and less of a chance of being overly fishy. As an added benefit, some say that farmed-raised mussels may actually benefit the overall marine ecosystem as these little guys are master filterers, cleaning the water wherever they go. 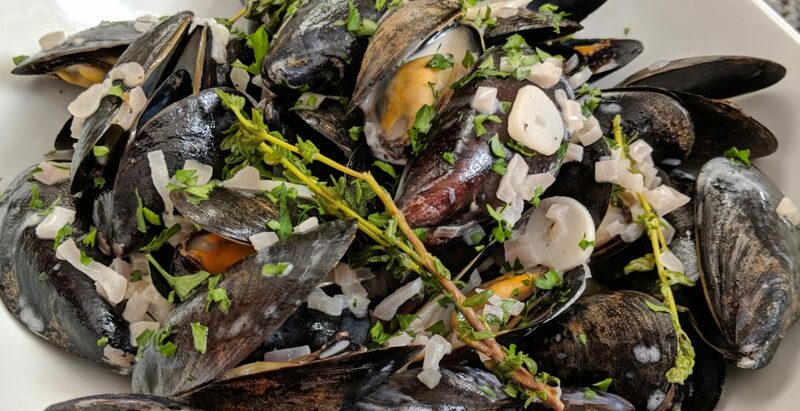 Of course, it’s always best to use Mussels the day you get them, but you can store them in the refrigerator for a couple of days if you have to. The best way to store them is to remove them from the bag or packaging they came in. Place them in a bowl and cover them with a wet towel or wet paper towels. Pop them in the fridge. Be sure to drain any liquid that accumulates in the bowl daily. And when you take them out to use them, give them a quick sniff. They should smell fresh and salty, like the ocean…not fishy. Another word of advice: wait to clean the outer shells and debeard them (if necessary) until right before you’re ready to cook them. First, they’re very versatile! 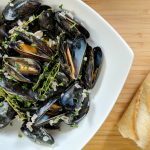 I love the sweet flavor of mussels and they pair well with many sauces, from white wine sauces to cream sauces to tomato sauces. But you can also have them just plain steamed, whether wine, chicken stock or even beer. Second, they’re very affordable! Especially when compared to clams and oysters, mussels are a bargain and they make a great appetizer or even a main course. I usually get a really big bowl and place the cooked mussels in the bowl. After completing the sauce, I pour it over the mussels and garnish it with some parsley. You could even do a twist of lemon. In France, they’re always served with at least a baguette or some crusty bread that is just amazing when it absorbs all that great broth. Many places serve Mussels alongside French Fries or pommes frites, as they’re known in France. 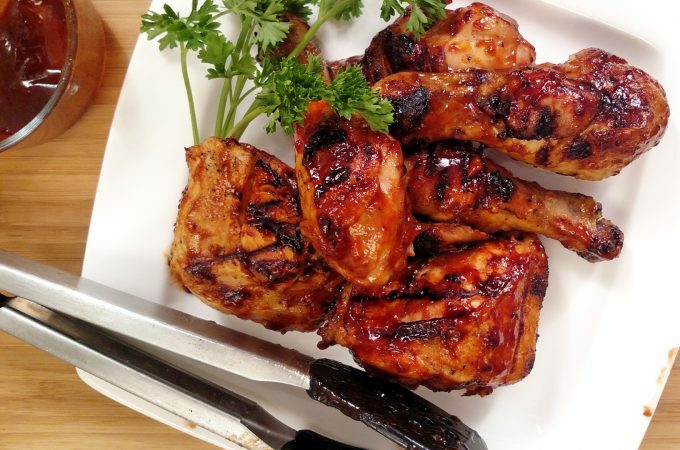 Either way, it a pretty easy and inexpensive dish to duplicate…so for just a few bucks, you can bring the taste of Paris to you. C’est bon! I love Mussels. You can make Mussels many different ways but I always come back to the Classic French Style. I've also included a couple of options to help make it a touch healthier. Mince Shallot. Slice Garlic very thin (1/8 inch or less). Mince Parsley. In a Dutch Oven over medium heat, add Olive Oil, Shallots, Garlic, Thyme, Salt and Pepper. Cook until Shallots and Garlic start to soften. 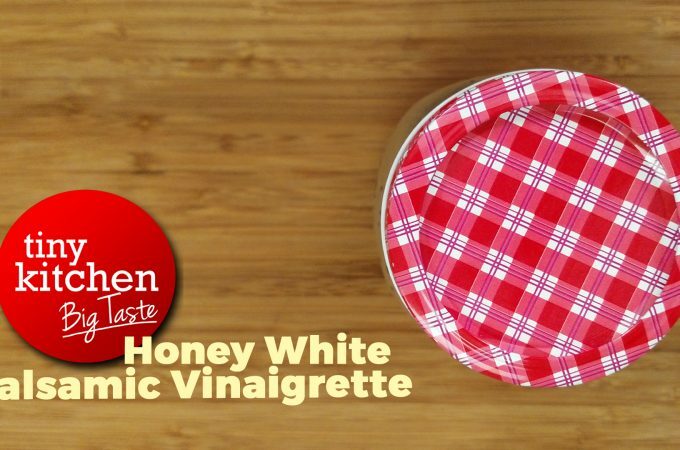 Add White Wine. Stir and bring to a boil. Once White Wine starts to boil, add Mussels. Cook for about 3 minutes or until they open. (Note: if any Mussels fail to open, discard them.) Remove Mussels. 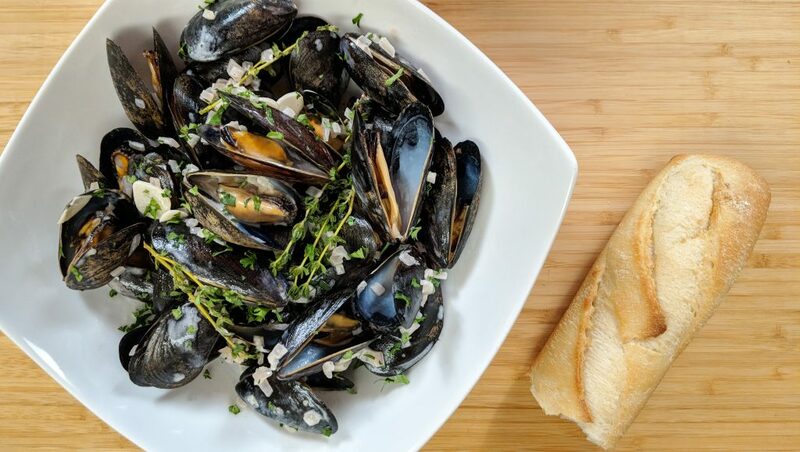 Pour Sauce over Mussels and serve with Crusty Bread.